This is from my friend Emily over at Handmade Farmhouse. There really isn’t much that she isn’t good at, including this easy but delicious recipe we shot last year! Enjoy! 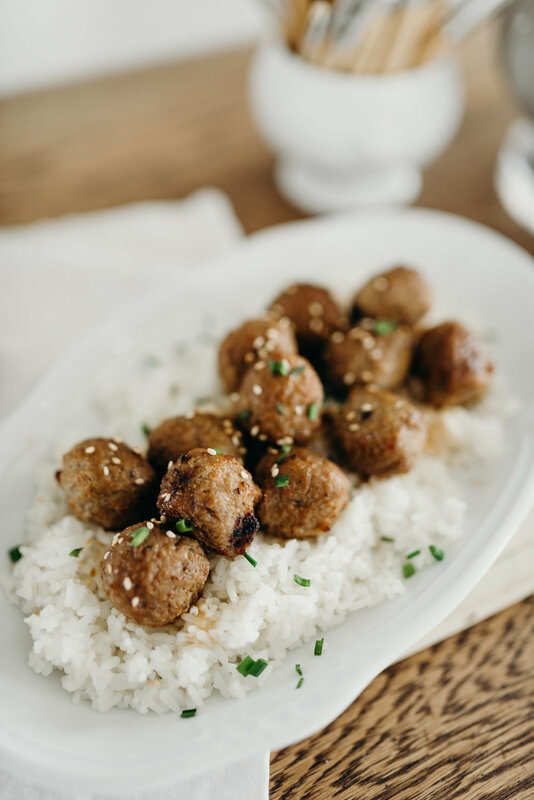 Mix and pour sauce over meatballs in crockpot. Stir occasionally on low heat. Serve over rice once heated through. Top with toasted sesame seeds and green onions if desired, or over rice. This recipe can be halved for smaller families!